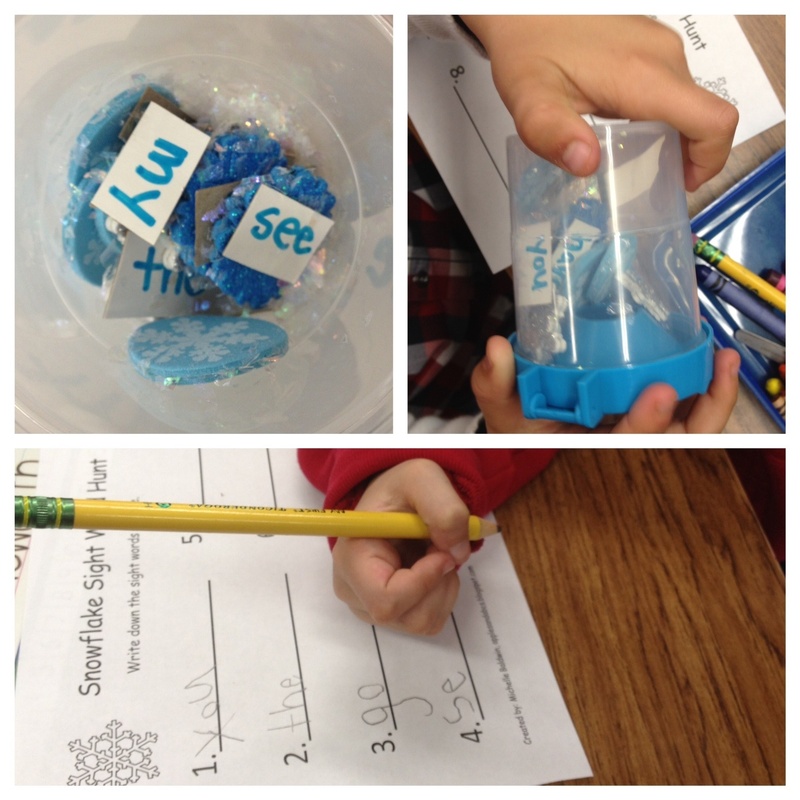 I made another type of sight word hunt using a paint cup, snowflake stickers, fake snow, and sight words. The idea is that the children look through the plastic of the paint cup and write down the sight words that they see in the cup. The students have so much fun doing this! The students see the words inside and write them on the worksheet! 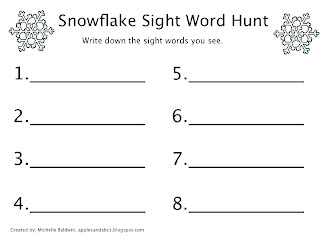 Click on the picture below to download the worksheet!